With the advancement of the AR 15 rifle has come the need for optical flexibility, including scope sights that are both affordable and meet the task at hand. 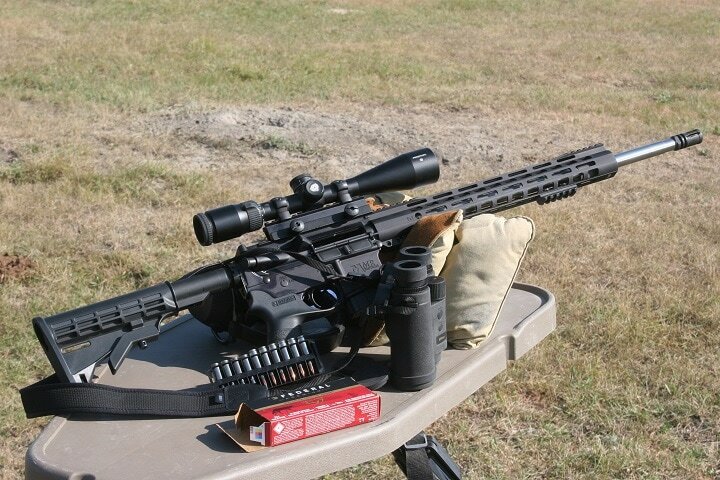 Here are some possible options to consider when selecting the best AR 15 scope. These systems will not push the AR-15 compared to some of the new long-range cartridge options available currently. However, they are a starting point for using optics with firearms. 5. UTG 3-12-44 30mm Compact. In a compact AR-15 platform scope, the Nikon P-223 in the 8496 series is a 3X32, matte finished surface unit with a BDC reticle system. 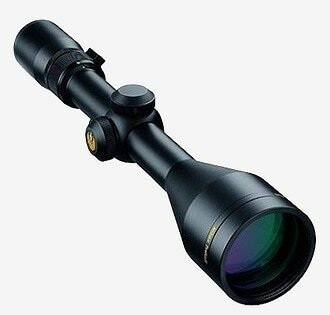 It fits the needs of a basic rifle scope at a very affordable price. 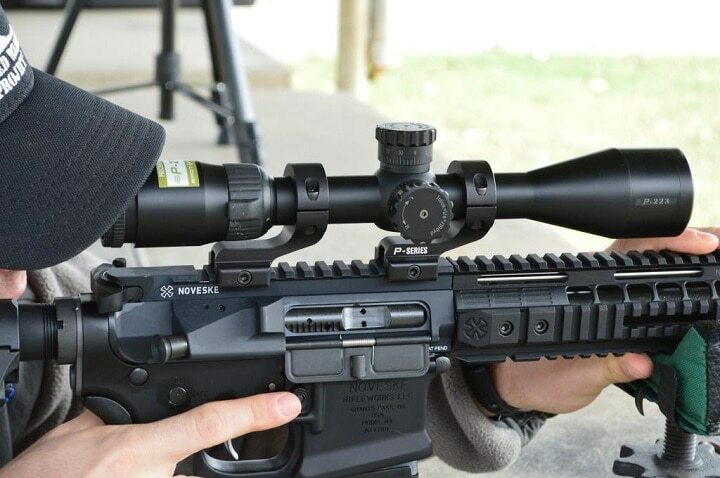 This scope meets the general purpose needs of the AR-15 shooter based on the BDC easy-to-use reticle for starters. This scope has a built-in 100-yard parallax setting that allows the shooter to shoot without additional adjustments. Nikon states the scope is good up to 600 yards based on its BDC circle-type reticle. 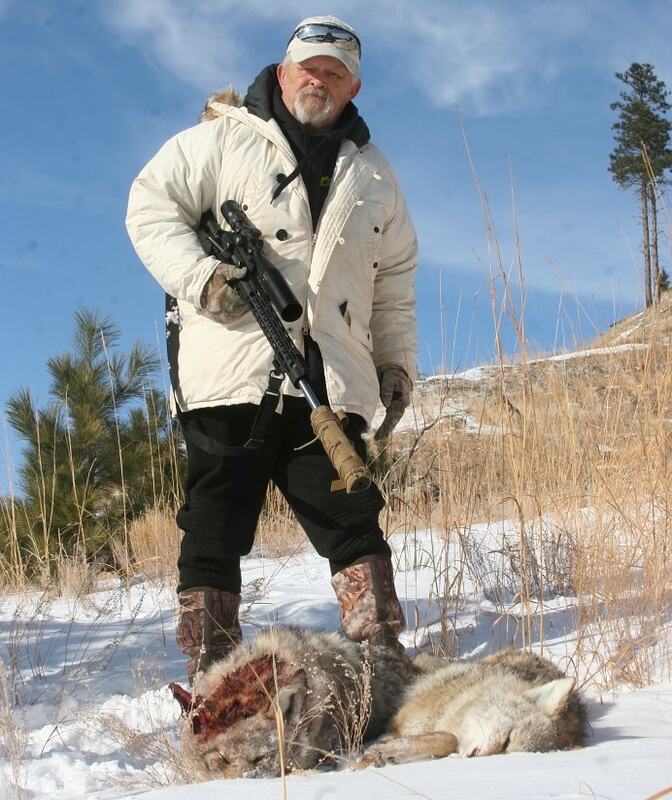 The BDC was developed for such work by an old friend of mine, John Anderson, past editor of The Varmint Hunter magazine. 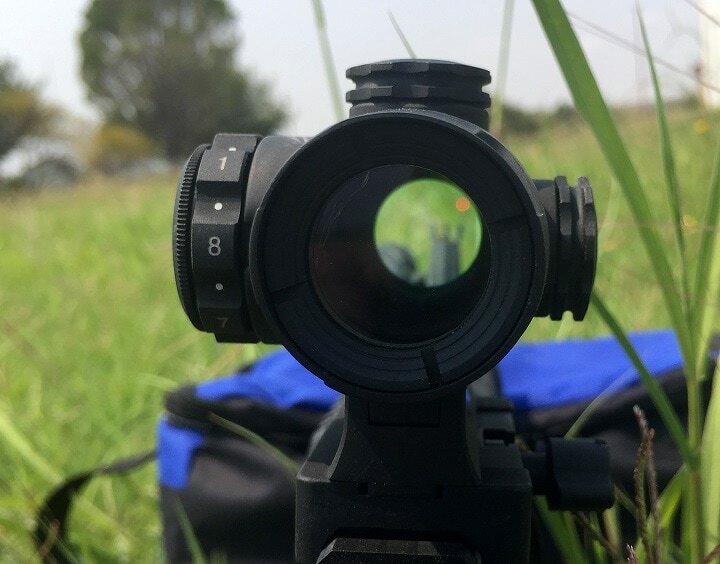 This reticle is not an MRAD or M.O.A system but one that is unique to Nikon scopes. 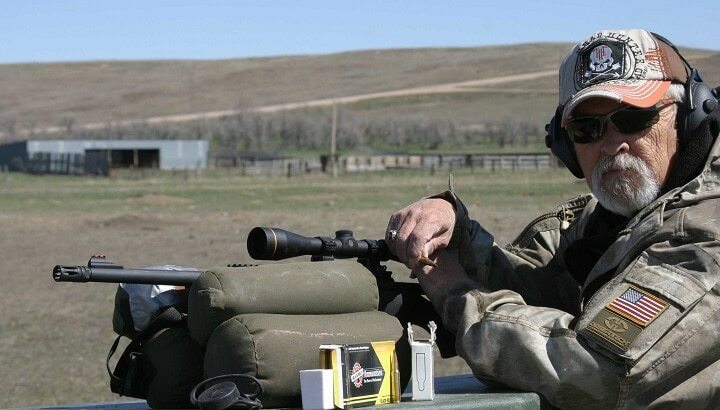 While the scope is set up for 'long-range accuracy' according to the manufacturer, what is considered long range today is a far cry from what this system is designed for. At best, the buyer should expect mid-range applications to be met. Open turrets allow the shooter to dial in advancing ranges or zero settings at a glance. This makes this product a tactical scope instead of the standard hunting rifle style field optical system. Click and shoot is the term best applied in this case. This scope retains a 96% light transmission ability, coated optics, and is fully waterproof and fog proof as well. 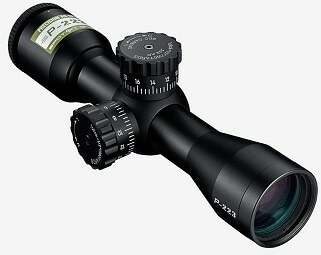 The price of Nikon P-223 Scope varies, so check the latest price at Amazon. The Nikon ProStaff optical line covers a wide range of rifle scopes. I use several of these scopes on AR platform rifles. The AR is changing with the addition of the very hot .224 Valkyrie cartridge to the basic AR-15 receiver/platform line. The AR-15 is now a 1,300-yard rifle and more when you push past the standard .223 Remington round. 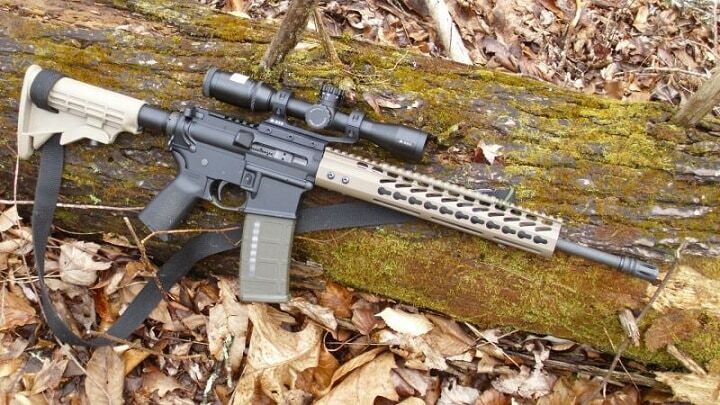 .224 Valkyrie AR-15 with ProStaff long-range tactical application. 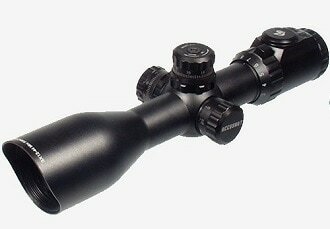 This aluminum tube constructed scope has a 4 x 12 x 40 magnification setting system that uses a close-cap turret. 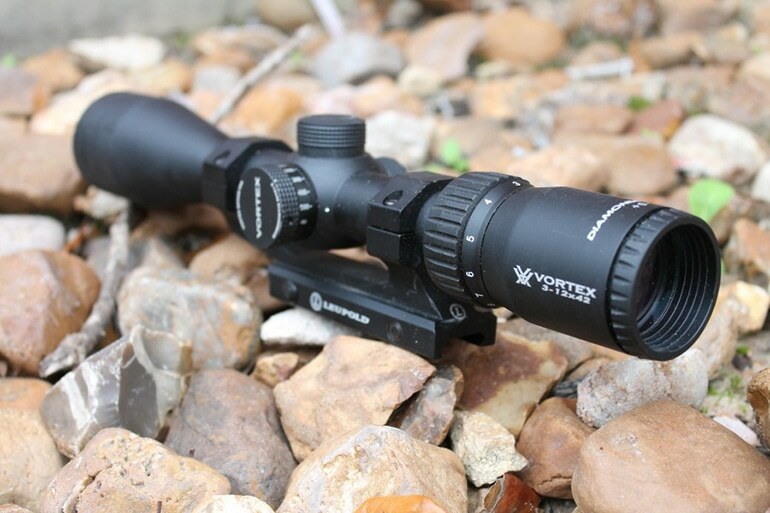 The scope was designed for hunting applications and not static longer-range or tactical work. 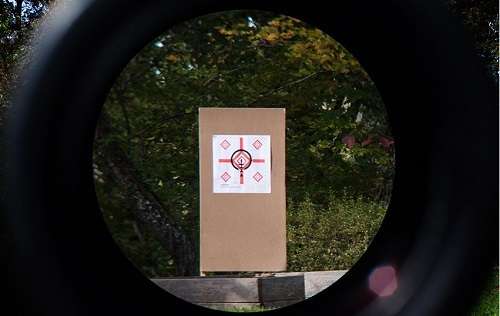 The BDC reticle is a Nikon standard. It will not replace M.O.A or MRAD adjustments. The reticle has its own Nikon sighting language. This scope has a nitrogen filled tube, has an O-ring sealed housing, and is both waterproof, fog proof, and shock proof. This basic optic is classed as a compact-type scope unit. 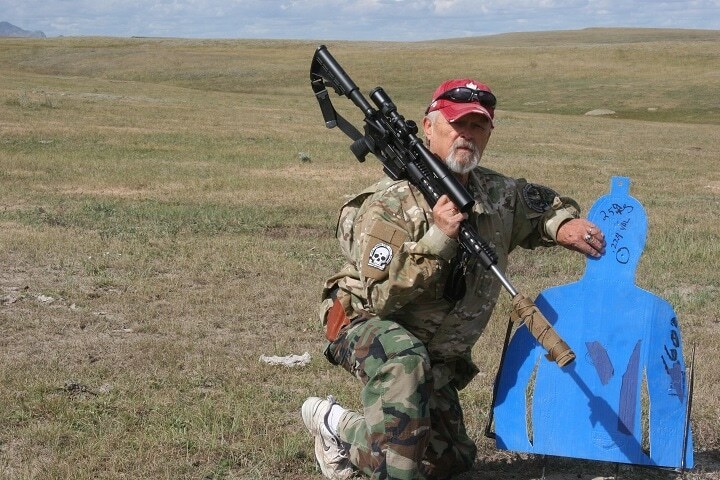 Author with ProStaff long range on a ,224 Valkyrie. 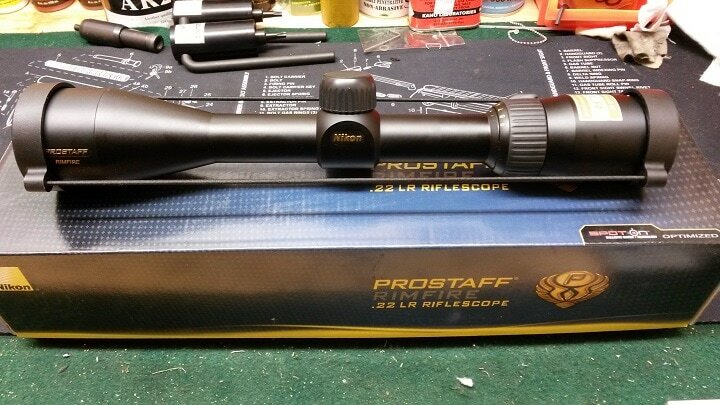 The scopes in this price range are designed for novice applications. For a professional, or a shooter that runs three gun competitions or other advanced gun games, it would be best to pass on these budget systems and move to a higher quality rifle scope. For general use, however, the optics described here are a good buy. The price of Nikon 6729 ProStaff 4-12X40 varies, so check the latest price at Amazon. Bushnell optics has been around for a long time and has recently been revamped to increase overall quality. 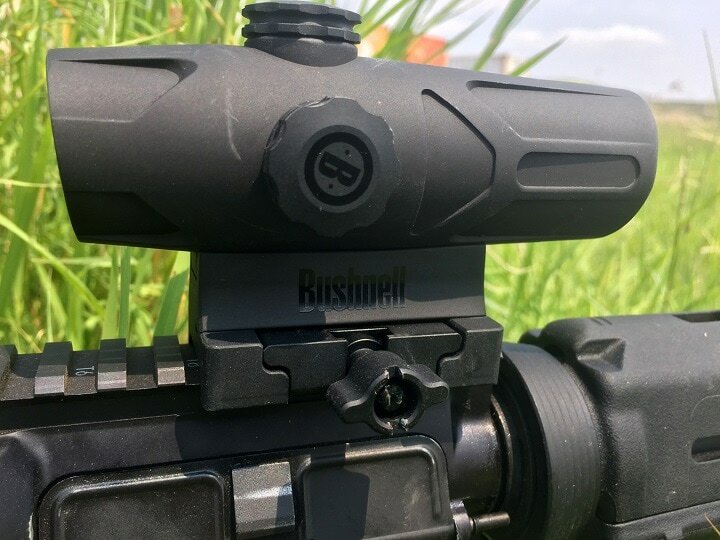 The Bushnell Optics Drop Zone, as designed for the AR-15, is an example of an optic in a low price range. 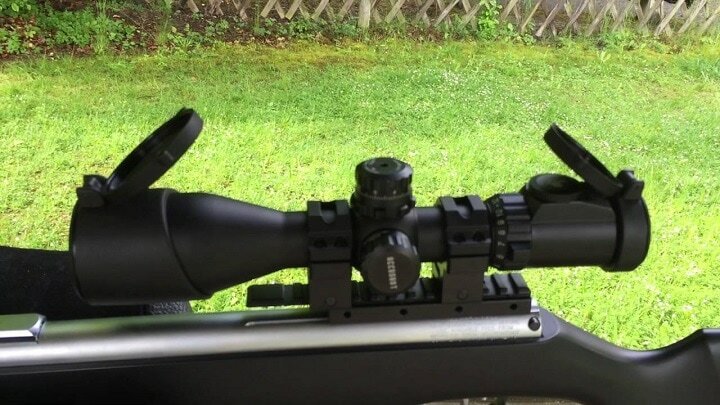 This scope will be great for the novice shooter who is a part-time Sunday afternoon plinker or target shooter. 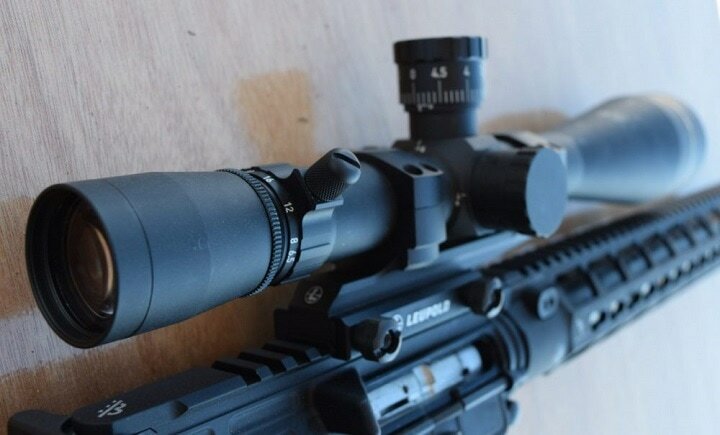 This scope is built as a 1-4 x 24mm optical system and is set up specifically for the AR-15. Some scopes have a dual function. This specially designed package carries a 30mm main tube and Drop Zone BDC reticle that is set up specifically for the 7.62 NATO, 223 Remington. This scope is based on a close quarter design for a fighting weapon. Target engagement AR-15 .224 Valkyrie 800 yards. 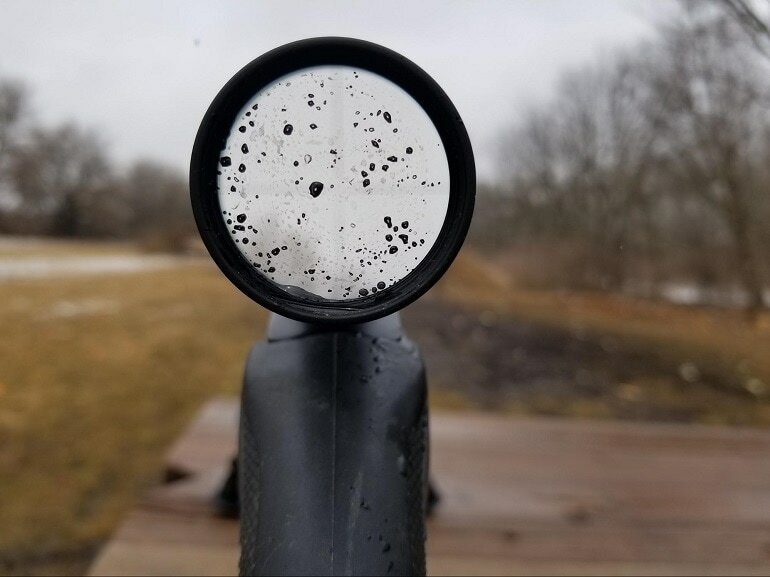 The BDC reticle is calibrated for the .223 Remington round and corresponds exactly to the drop figures of the cartridge, or at least within center mass target striking requirements. The scope carries aiming points for 55-grain through 62-grain bullets out to 500 yards. That distance is a stretch for this light duty optical system. The target turrets on this scope will correspond to the 0.1 mil click values meaning fine impact adjustments are possible down range when not using the BDC aiming system. The price of Bushnell AR Optics Drop Zone varies, so check the latest price at Amazon. Vortex as applied to the Ruger Chassis 6.5 Creedmoor. Testing for industry standards. The scope passed. 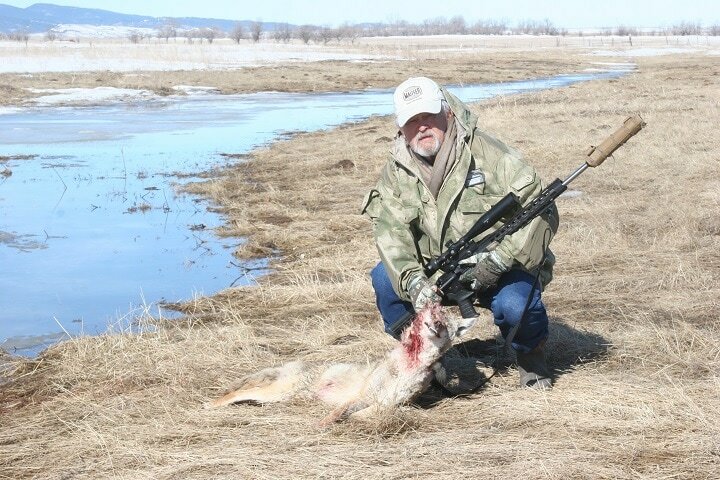 I must say that Vortex, even being a newer company that is producing newer ideas in optics, is a damn good bet when searching out rifle scope for your smoke pole. I use this scope in both scopes and spotting equipment and none of my systems have been put to rest due to failure or poor performance under fire. The Diamondback series offered by Vortex has several configurations. Their offerings range from the 4-12X40 Dead-Hold BDC/ MOA reticle to the 3-9X40 mounting a V-Plex, MOA reticle, or sub tensions. The price range under $200. However, both systems are very close while lacking the difference in the sub tension reticle systems. Diamondback is designed to be a flexible rifle scope and can be switched from a muzzleloader to a high powered long-range rifle. 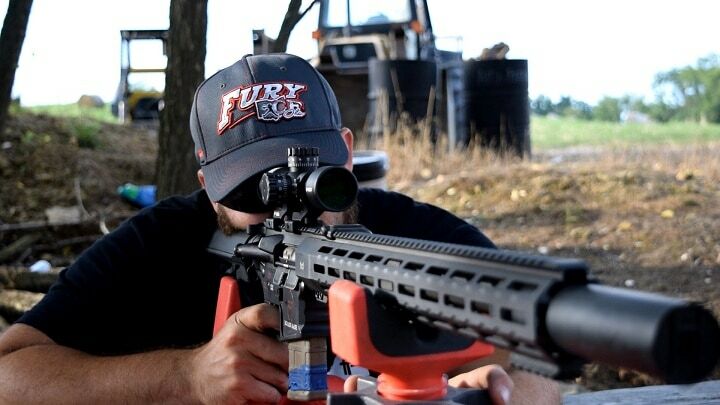 The AR-15 is a firearm that fits right in the middle in terms of this scope's use for this platform. The all-metal turrets on this scope, as well as the overall construction level, allow this scope to be turned and reset to zero thousands of times before any element of wear sets in. 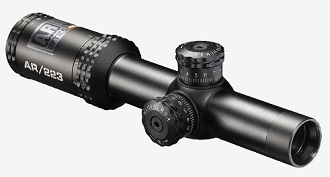 Some scope optics are designed to be zeroed and then left alone for most of their working life. This is not the case with the DimondBack system. The solid one-piece tube is trouble-free when it comes to seam leaks or any other element of the scope design going out of specification and failing the shooter. 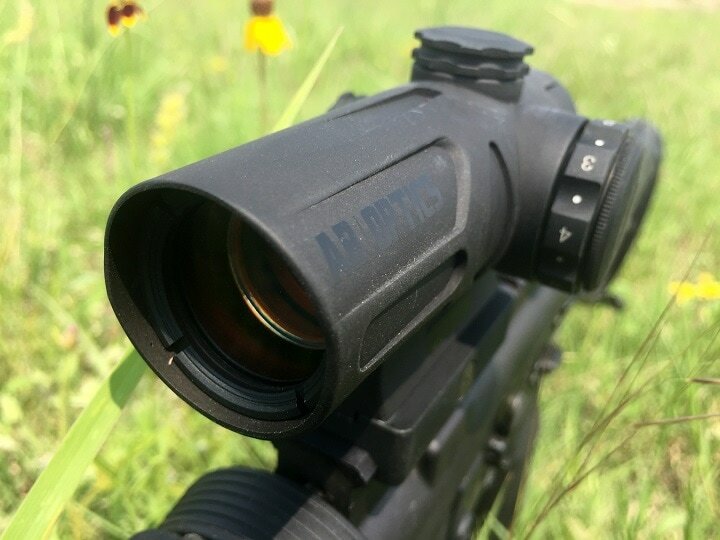 The bottom line here is Vortex optics are just a good piece of equipment overall. varies, so check the latest price at Amazon. UTG offers a compact model AR-15 style scope. This scope fits the needs of a shooter who wants to keep the weight down on their rifle and, at the same time, fit the new optic into the family budget. This scope is built with a tactical range reticle built into the sub-tensions and makes use of mildot (M.O.A.) sighting systems. The optic uses a series of 36 colored rings in mildot increments. Using colored glass in an emerald tint and a slant sunshade across the forward bell, the optic on this scope is sun-fighting ready when you start shooting in intense light conditions. This system is an elimination external adjustment settings unit. The manufacturer indicates that the turret zero locking system is repeatable. The unit is sold with a full lifetime warranty in case there is ever an issue with the scope. The scope retains ¼ M.O.A. clicks making it paired with current ballistic data generated material. In other words, the scope understands firing solutions (DOPE) and responds with its maximum range limits. Parallax adjustable provides a clear, clean image even for long-range shooting. This has a whole lot of added tools for a very modest price tag. This rifle scope is totally waterproof and resistant to adverse weather conditions. The scope also features a nitrogen filled, sealed tube system. The price of UTG 3-12-44 30mm Compact varies, so check the latest price at Amazon. When searching for the best rifle scope that is priced right for your AR-15 rifle, the Leupold VX-1 in the 2-7X33MMa compact model is a workable solution. This is the youngster in the Leupold VX line as it is smaller, less complicated and far less expensive than its fellow brand members. Currently, I shoot no less than six Leupold scopes on an assortment of rifles. I know the brand well and will defend it to the last scope standing. This light-duty model is not American built, but an import. 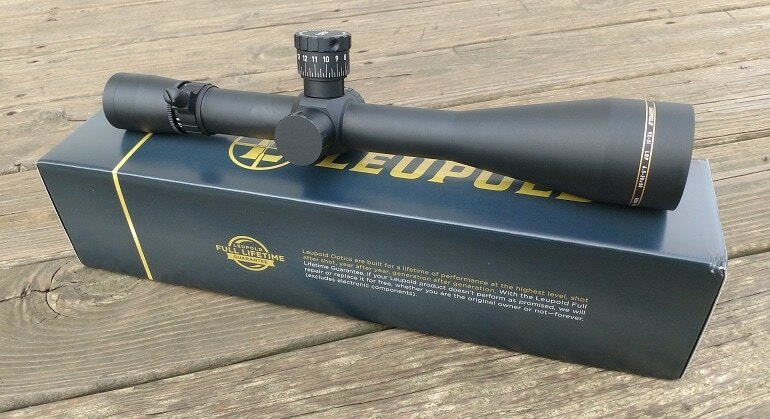 Even so, the scope must meet Leopold's requirements to say alive in the company's inventory. The VX-1 retains an aluminum one-piece housing crafted from 6061-T6 aircraft-grade aluminum and carries a 3:1 zoom ratio erector system for sighting targets at longer range limits. The unit uses the Leopold fast focus eyepiece and retains a multicoat 4 lens system for very high-grade clarity. Tech data: Objective Lens diameter 33mm with a tube diameter of 1 inch. Matte finish surface treatment that reduces glint in hunting or tactical situations. Adjustment click values 0.25 MOA, with an adjustment range of 60 MOA. Total weight 9.9oz, with a length of 11.3 inches. The price of Leupold VX-1 varies, so check the latest price at Amazon. Mounted on 338 Lapua This is a one-mile target rig. 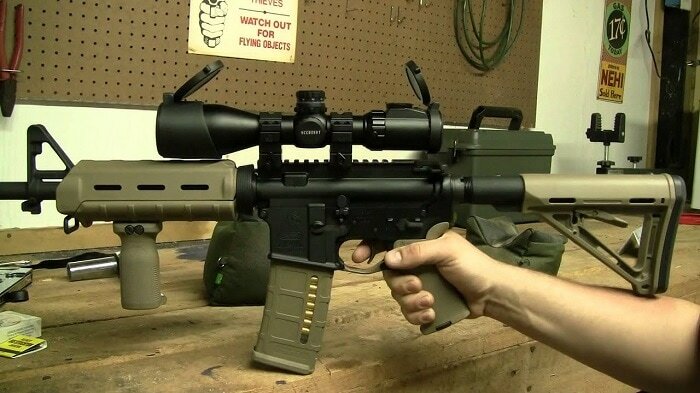 I know what you're going to say, "What on earth is a 22 Rimfire scope doing in an AR-15 class review covering optics?" The bottom line is that TRACT optics are so damn good that their 22 LR scope will fit right in as a .223 chamber AR-15 class rifle. TRACT is a young company that is building rifle scopes that outclass much of the competition because there is no middle man. 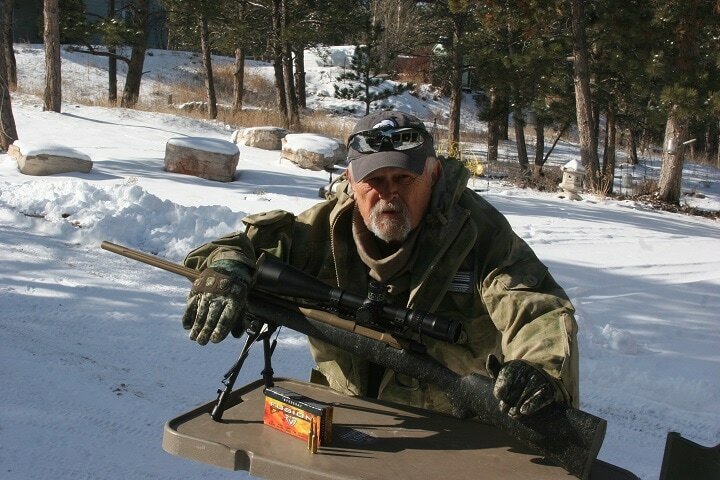 I now shoot the TRACT optical system on my one mile Montana 1999, 338 Lapua, and a selected 6.5 Creedmoor in the Ruger Hawkeye. The result has been a totally awesome performance. Because my task is to keep this material inside a $200 scope budget, I selected TRACT because I know for a fact that this glass is not worth $200, but at least $400 and some change. By selling direct and through Amazon, the scope manufacturer does not have to bleed off profits. So, they can build a scope for far less money than others. 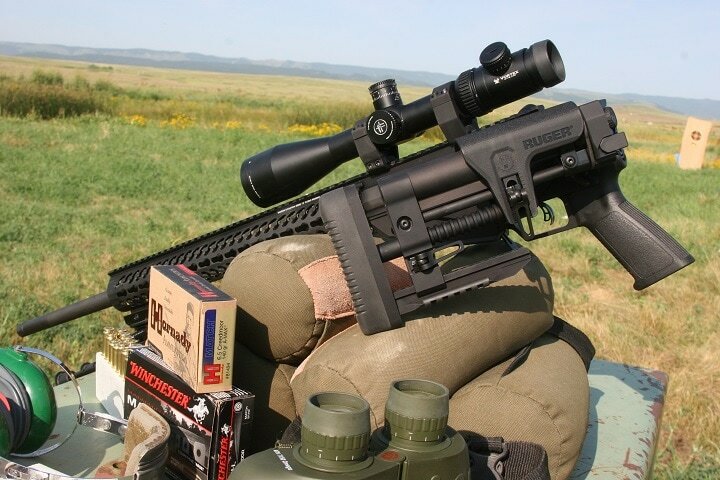 Put this scope on your AR and you have $400 in glass right from the get-go! Now, that's a winner no matter how you cut it. 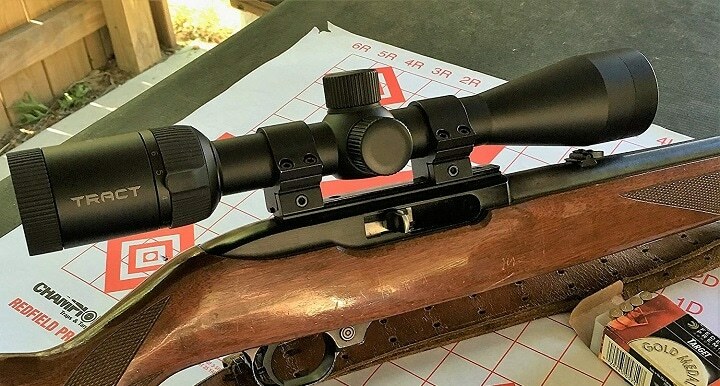 This scope in the 22 Fire 4-12X40 is a 'big rifle' glass and it shows. I have switched out many of these systems in several brands. They work well even when designed for rimfire cartridges. The TRACT 22 Fire carries outstanding glass that will not rainbow color the reticle edges but retains clear images even at longer ranges. 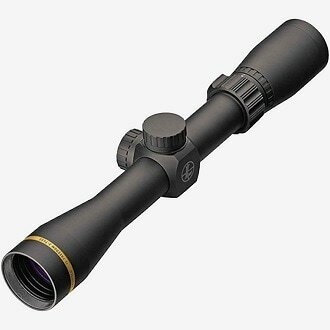 Built of high-quality materials, this scope carries a lifetime guarantee for the first buyer and all others as well. That is something you never see in the industry. This is how sure TRACT optics is of their product. Even though this is a small light rifle unit, it is mounting a turret system as found on 'big rifle' glass. When coupled with the T-Plex sub tensions, you will have very accurate bullet placement to extended range limits. This great scope will not be found in stores, but directly through the manufacturer or on Amazon. The price of TRACT 22 FIRE 4-12X40 varies, so check the latest price at Amazon. 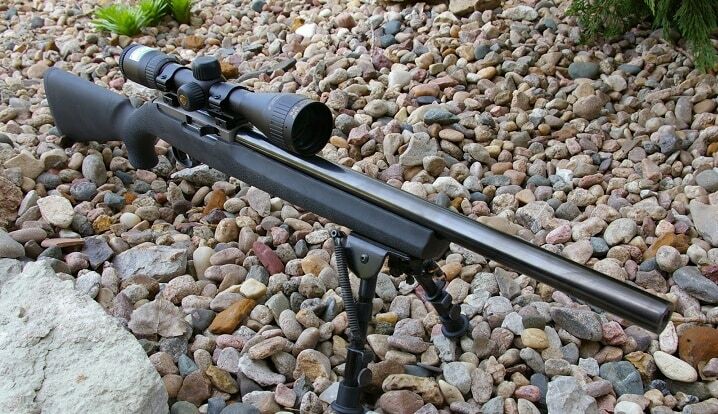 Burris Long Range scope mounted on the Ruger chassis rifle in 338 Lapua. Burris can take a pounding and still do the job. Built as an entry level optic, the Burris 3-9 X40mm Fullfield II Plex rifle scope is a positive start when selecting good optics for the AR-15. Covered under a lifetime warranty and built with high standards in mind this scope will last and do the job well for the shooter. Burris scopes are a standard in my inventory of optical system here at Ballistics Research & Development. 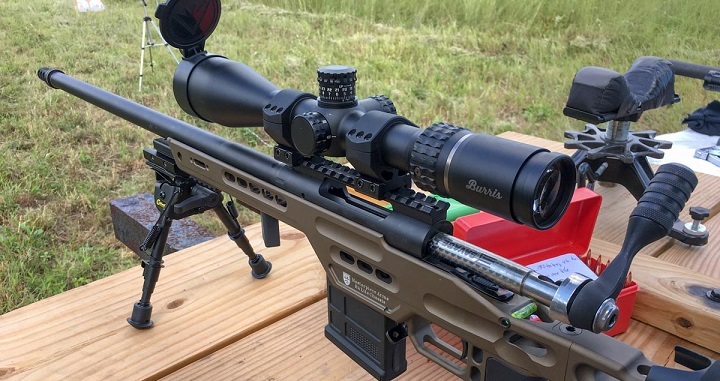 From the heavy 338 Lapua and 50 BMG rifles to lightweights like rimfires and AR platforms, this scope has performed well across the board (model dependent on caliber use). This scope is built of a one-piece construction system and is gas sealed, waterproof. and fog proof for field applications. The lens system makes use of the Burris Hi-Luma Multicoated process. Using the Burris scopes for long-range applications, I have found turret adjustments to be spot on with positive click at 1/4 M.O.A. It has good repeatability from an advance rotation for elevation and a return to the original zero. 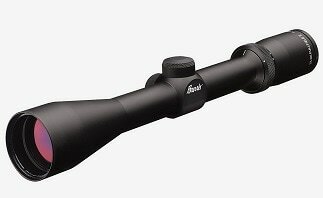 The price of Burris 3-9 x 40mm Fullfield II varies, so check the latest price at Amazon. 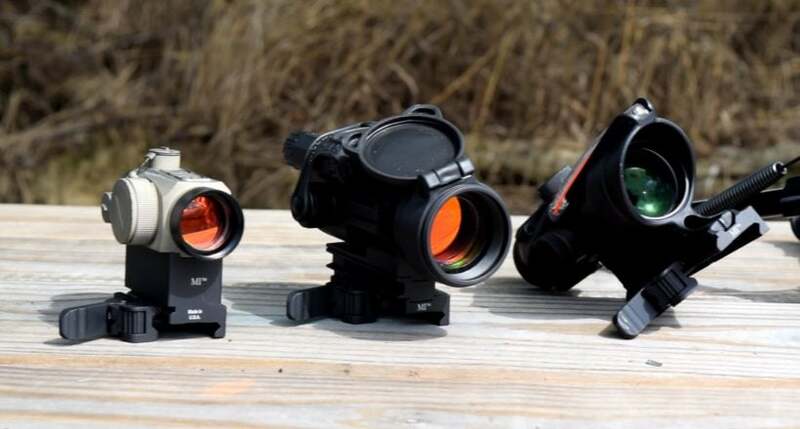 Red dot sights are very popular among AR-15 shooters when the rifle is set up for fast shooting three gun or other combat games that are addressing close range combat style scenarios. This selected sight is a budget scope for an entry-level optics choice. The optic retains eight different optics settings in terms of brightness, with an offsetting between each change in illumination. Set up to look like the housing on an ACOG military sight, though it is not that system at all. 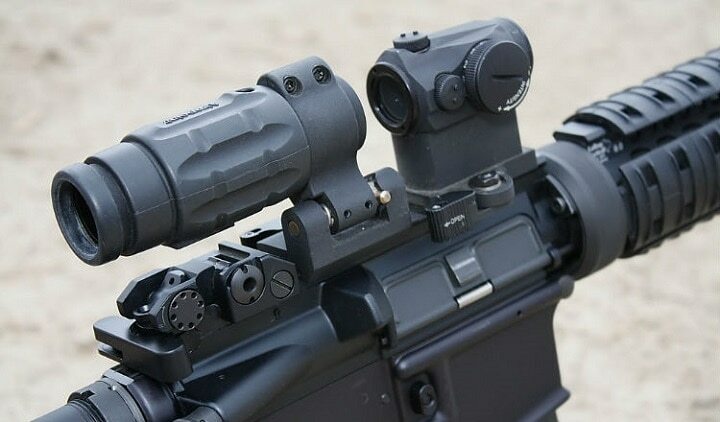 ACOG is very expensive and set up for military use on a 556 NATO M-4 combat rifle. The mounting system on this sight will apply to most AR-15 platform mounts. That takes into account that the Red Dot for AR-15 rifle meets most of the requirements when selecting varied mount system. Believe me when I tell you that there are more of them than one can count on the market today. I have run this best red dot sight on crossbows and light rifles as in night vision or low light setups (22 LR's) for years. The Enrage Red Dot sight at 1X2 MOA Dot is tough as nails and just keeps going regardless of the field conditions. I have harvested over 18 buck whitetail deer in the past 15 years with this optic and only changed out the battery three times in all that field use. 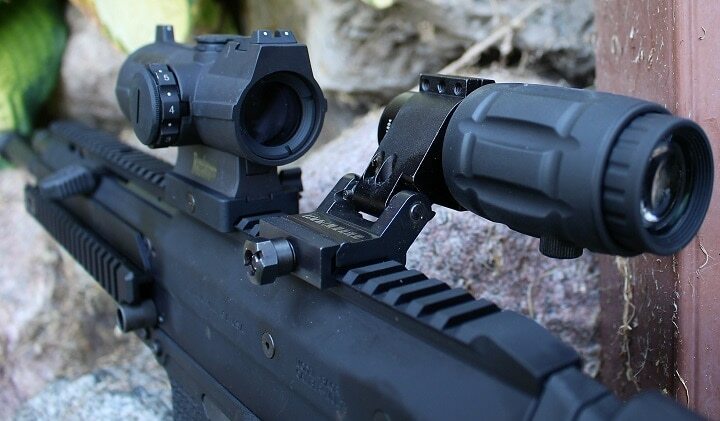 The optic uses a standard Picatinny style rail mount found on almost every sight systems set up in rifles nowadays. It is well designed for close quarter use, but I would not recommend this unit for long-distance shooting exceeding 100 yards when applied to big game applications. The optic is gas filled and sealed for weather conditions in the field. I had outstanding service on my system until over a hundred hours in a tree stand, spot and stalk hunting then a glitch came about in the light system itself. No worries mates, I have been more than satisfied with the unit. 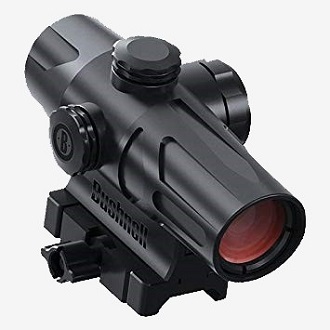 The price of Bushnell AR Optic Enrage Red Dot varies, so check the latest price at Amazon. L.P.Brezny has been writing and reviewing products as well as how to projects for the past 50 years. He has authored four books on shooting with three on long range, and one covering shotgunning. (Amazon) With 26 years in a metro police department as a street officer and the rank of SGT / training L.P. has covered all the bases regarding weapons and street survival.